We first saw the Renault Kwid AMT at the 2016 Auto Expo in February this year. The preview had promised two things - building on the strength and success of the Kwid and also an AMT minus the gearstick! Renault has already launched the 1.0 litre variant of the Kwid two months ago, and now has the AMT version finally ready to go - and you've probably been seeing the teasers or read our story on its imminent launch. And we have it first! The Renault Kwid was launched last year and has been a runaway success. With styling that broke the mould in the small car space and enough space to comfortably fit five adults, the car has been popular for obvious reasons. 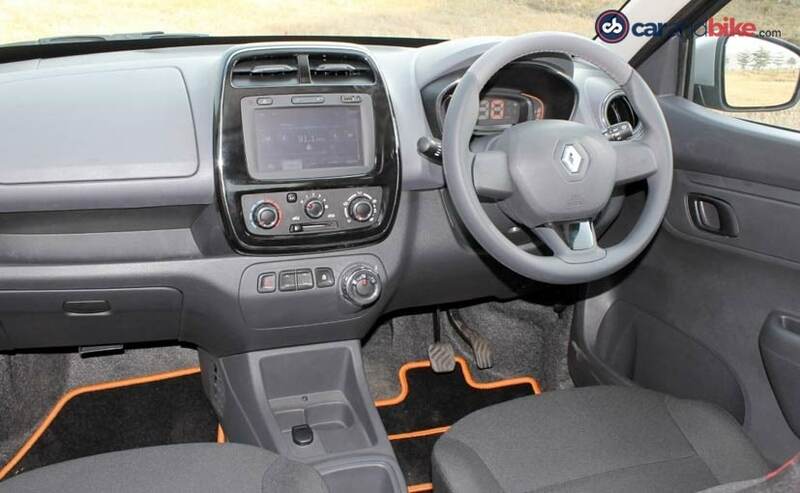 The Kwid was also extremely well equipped with a touch screen and navigation being offered on the top end variant. It also offered the best ride quality of any small car in the market. So it was no surprise it won the NDTV Car of the Year, CNB Viewers' Choice Car of the Year, Small Car of the Year and even the Design of the Year, at the 2016 NDTV Car and Bike Awards. 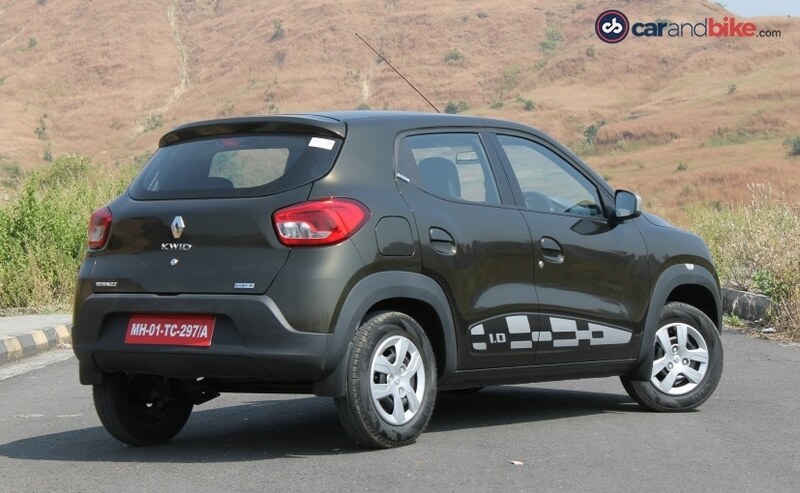 The AMT variant arrives to further enhance the Kwid's benchmark status in its segment. Renault says it has designed the system in-house, though hardware has come from Bosch and the software to run it from FEV. But the calibration and fine-tuning has been carried out by Renault's engineers. 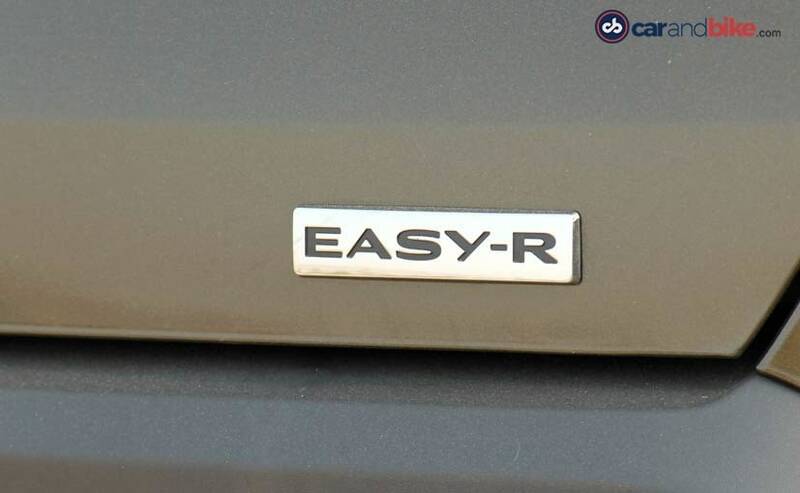 Renault likes to brand the car Easy-R - like it did with the Duster AMT - but is happy to call it AMT anyway! The big USP on this car is that Renault has done away with the gearstick and has opted for a rotary dial instead. The simple dial sits on the central console and has three positions - R (reverse), N (neutral), and D (drive). An innovation Renault decided it wants the car to sport - it does not move even in D, unless there is an accelerator input from the driver. The logic of that? Renault's market research says the creeping function on all AMTs was not popular amongst AMT users. 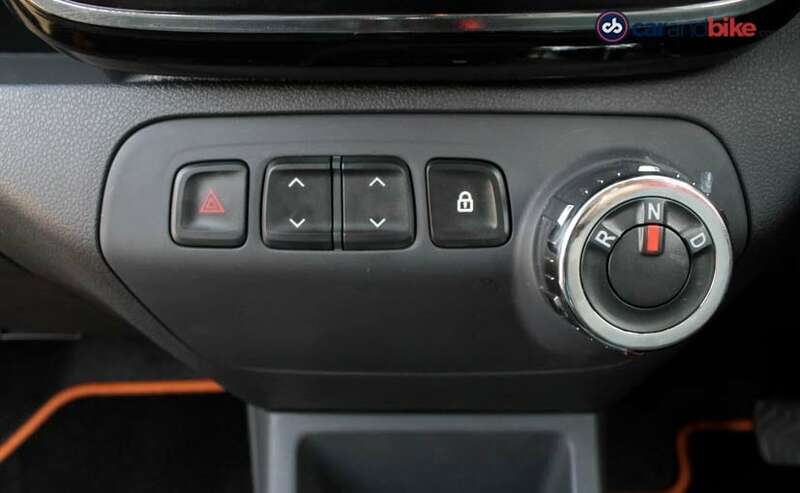 So now you don't have to keep your foot on the brake at say a red light, on the Kwid AMT. Now - how does the car drive. First accept that all AMTs will always take some getting used to, and will never be as smooth as a conventional automatic or CVT. Given that the level of smoothness on the Kwid is a surprise. There is a slight tug or hesitation in the 1st to 2nd gear change, but the rest of the gear changes are extremely smooth as AMTs go. Downshifts even more so - again a great surprise. 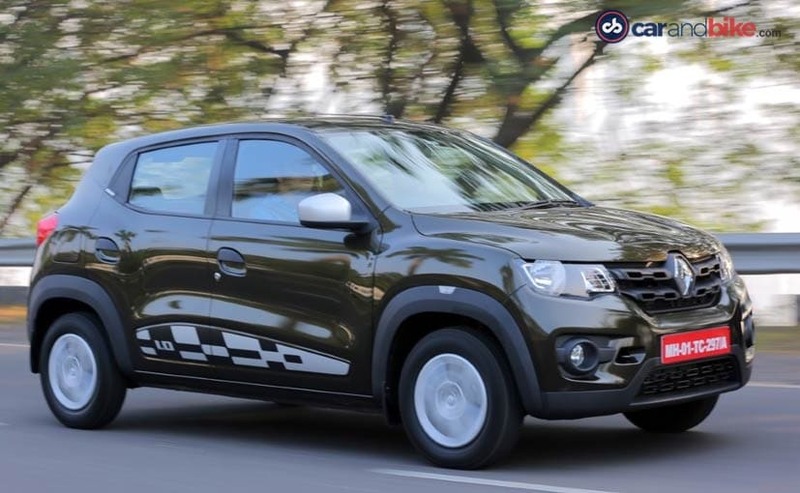 The decision always had been that the AMT would come only on the 1.0 litre Kwid. 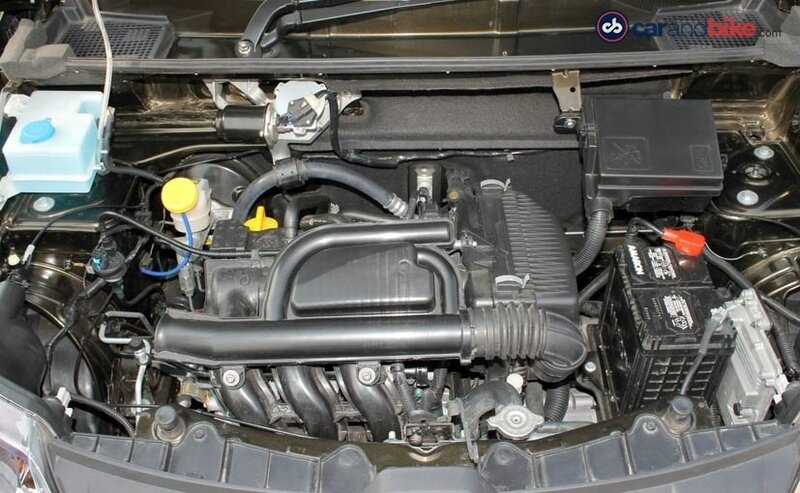 The specs remain identical to that car, and so you get almost 67 bhp and a solid 91 Nm of peak torque, making it a little more spirited to drive than the 800cc Kwid. 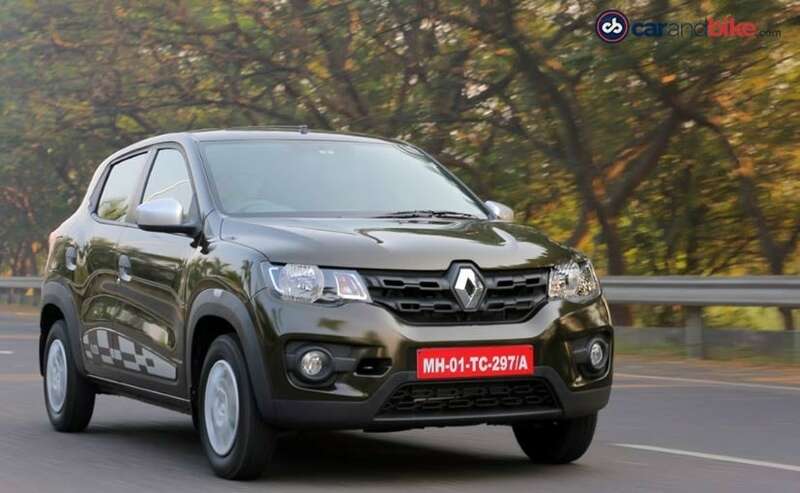 Renault has also decided that since the majority of its 1.0 Kwid sales are concentrated to the top-end variant anyway, the AMT too will only be offered on the RXT. This could change if Renault sees a demand for the same, but for now expect the AMT variant to come with the driver-side airbag and touchscreen navigation. In the past, the average urban small car buyer would have rejected the idea of a tiny car with an automatic but in the last few years we have seen a revolutionary shift as more buyers prefer choosing the easier to drive auto-boxes as compared to a traditional manual. This of course is due to the ridiculous amount of traffic in major metros and also due to the fact that the new AMT equipped cars are as fuel-efficient as the manual ones and not a whole lot more expensive to buy either. The Renault Kwid AMT costs ₹ 4.25 lakh (ex-showroom Delhi) and is ₹ 30,000 more expensive then the top-end RXT trim on the Kwid 1.0.